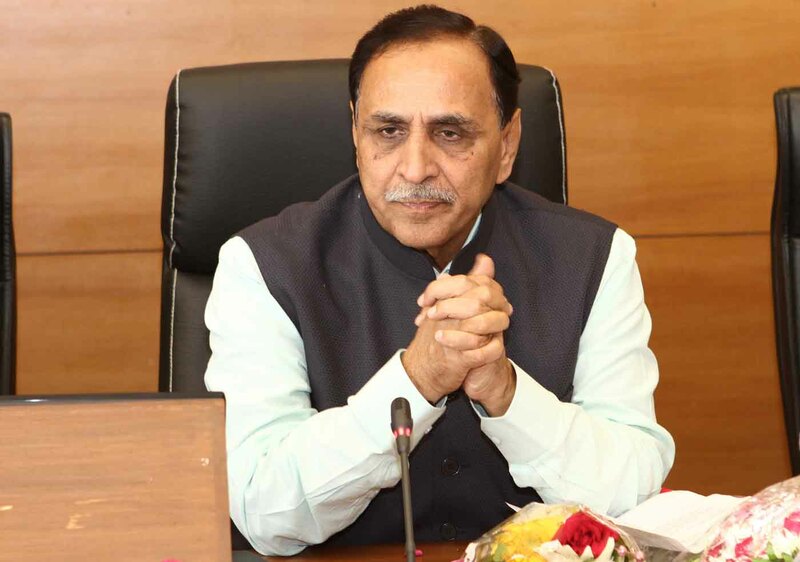 Gandhinagar: Gujarat Chief Minister Vijaybhai Rupani today suggested to cover on field farming activities under the MGNREGA and family members involved in the farm-labour should be paid wages as per the scheme. For these, he also emphasized to make necessary changes in the guidelines of the MGNREGA. The Chief Minister made these suggestions during the first video conference of the committee formulated by the NITI Aayog to make policy suggestions to cover agriculture field under the MGNREGA. Besides Gujarat Chief Minister Vijaybhai Rupani, the committee is consisting of five other chief ministers – Mamta Banerjee (West Bengal), Yogi Adityanath (Uttar Pradesh), Nitish Kumar (Bihar), and N. Chandrababu Naidu (Andhra Pradesh), and Pawan Kumar Chamling (Sikkim), and Aayog’s member Prof. Ramesh Chand. It is headed by Madhya Pradesh’s Chief Minister Mr. Shivraj Singh Chouhan. Participating in the video conference from his residence in Gandhinagar, Mr. Rupani made vital recommendations to link the agriculture field with the scheme for doubling the income of the farmers and for the development of agriculture sector. The Chief Minister also made suggestions to include harvesting of the resources for water storages, organizing Haat Bazaars for arranging proper markets for the farm produces, collection and grading-sorting centers, on farm storage godowns, organic input for fertilizing the soil, Wadi scheme, fodder development programme, live stocks, sheep, goats, poultry, ponds for fisheries, use of machinery and others. In the meeting, besides making these suggestions, the chairman had also made a suggestion to arrange a ‘Regional Workshop’ for the brain-storming to find other vital recommendations. During the video conference it was also decided that for chalking out the strategies for the implementations of the recommendations and linking of agriculture field with MGNREGA, the second meeting of the committee will be held in the end of August.